Closet organizers installed by 31-W Insulation are an effective tool to help organize any room in your Chattanooga, Tennessee, home. We install high-quality organizer products engineered by one of the leading closet systems manufacturers, ClosetMaid. These closet organizers are durable, customizable, and available in your choice of attractive laminate/wood or metal components in a wide variety of color and finish options to ensure the interior of whatever closet you organize is attractive. 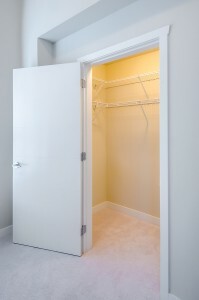 Getting dressed will be easier for you when your clothes closet is organized to your exact specifications. Plus, imagine hassle-free mornings if your children can easily locate their own socks or other clothing articles in easy-to-access bins and child-sized shelving systems. Making dinner will be less stressful when your pantry is organized, with all ingredients easy to locate and within reach. Bath time and bed time routines will be easier for your family when the linen closet in your bathroom is tidy and arranged, with shelving that has plenty of room for your towels as well as readily accessible toiletries. Additionally, when 31-W installs your new closet organizers, you can count on expert installation for a closet system that will stand the test of time. For more information about the benefits of having closet organizers installed in your Chattanooga, TN, home by 31-W Insulation professionals, contact us today.